Lashing out at Prime Minister Narendra Modi for linking opposition to black money hoarders, the Congress Party today said that his speeches and empty promises don't run a government, adding the banning of notes won't help people with buying their ration. 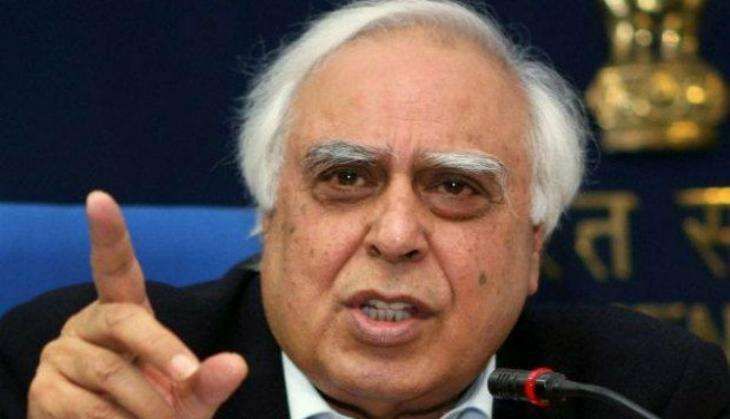 Speaking at a press conference, Congress spokesperson Kapil Sibal said, "Prime Minister Narendra Modi doesn't know the Constitution. He doesn't know how to behave in Parliament. I would like to tell to him that speeches don't run government and banning notes will not help fill rations." He further said that PM Modi has promised the people that Rs 80 lakh crore would be reclaimed, what happened to that? "Two years have passed, but Lolpal is still sleeping under the racks. We don't believe in this Prime Minister, who has only made empty promises. He doesn't deserve to be trusted upon. The Finance Minister has said the situation would recover within two weeks, but nothing happened," he added. Talking about the annual report of the Reserve Bank of India (RBI) for 2015-16, the Congress spokesperson said, "2,203 crore pieces of Rs 500 and Rs 1000 notes need to be printed, but till now how many crore have been printed? I have the figures till 18 November. The RBI data released on 21 November, the new currency which has been pumped into the economy by way of withdrawal 1.03 lakh crore rupees and which is exchanged is 33,000 crore, so this means 1, 33,000 crores; how much is the need? The need is of 2,203 crores." He said that the demonetisation issue is not ordinary as it affect's the common man's survival. "80,000 crore people of the country are earning less than Rs. 10,000. Do they have black money? Those people doesn't have a bank account, an identification number, does not have an identity, is a casual labour and is working under a farmer, a migrant labour works from Bihar to Punjab, earns Rs. 200-500... Does he have black money? What will he do? What will his family do?" Sibal questioned. "Please don't ruin the country, because it is not a question of Narendra Modi, if the economy falls then the nation will be ruined. Modi ji used to say that brothers and sisters, money is on ventilator, then I want to ask him if the money today is on escalator?" he said.